I was walking around in our over-grown yard last weekend when a squeak erupted from a thatch of grass. What in the world? Upon closer inspection, it turned out to be a baby bunny that promptly leapt away to safety under our gate door. After corralling the curious dogs elsewhere, I went back to check and make sure the little rabbit was okay. Turns out, it was fine, just a bit surprised at meeting my garden boot. 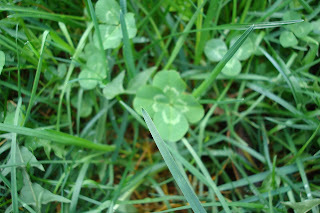 And can you believe that while I was laying in the grass checking on bunny, I looked down and saw this four leaf clover? When we bought this house three years ago, I planted dozens of tulip bulbs in the front flower bed. Imagine my sadness to discover that all but four were eaten by something! I didn't try tulips, again. Last year, the same four bloomed, still hanging in there. But this year, those tulips multiplied like crazy and it was a surprise to see bunches of flowers. All of this lovely weather makes it hard to stay inside...more than ever I crave looking for time outdoors. So I took a little field trip, which I'll share about in my next post. 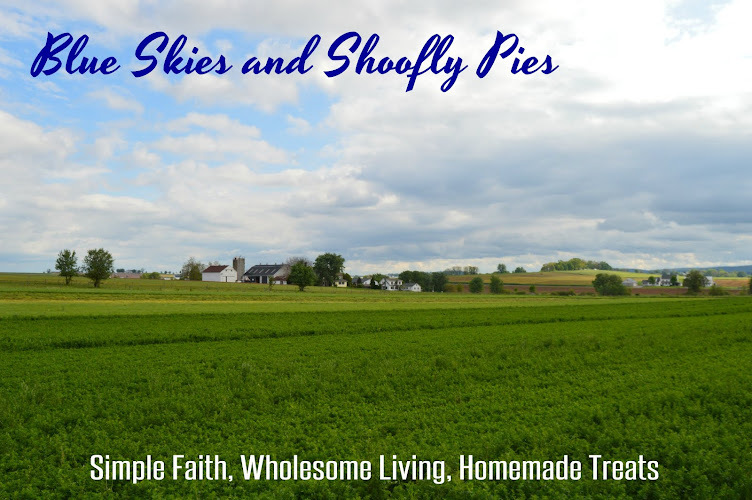 Thank you to everyone who left comments and mentioned in e-mail your prayers for Hope's daughter Charity and the upcoming LLF mission trip. Although Charity is not healed yet, and recently suffered a setback when she had to go to the ER for her right ear. Yet, her family is still hopeful for her healing in time for the trip. Praise God, a very present help in this time of trouble. Hey Beth, I let the bunny go. 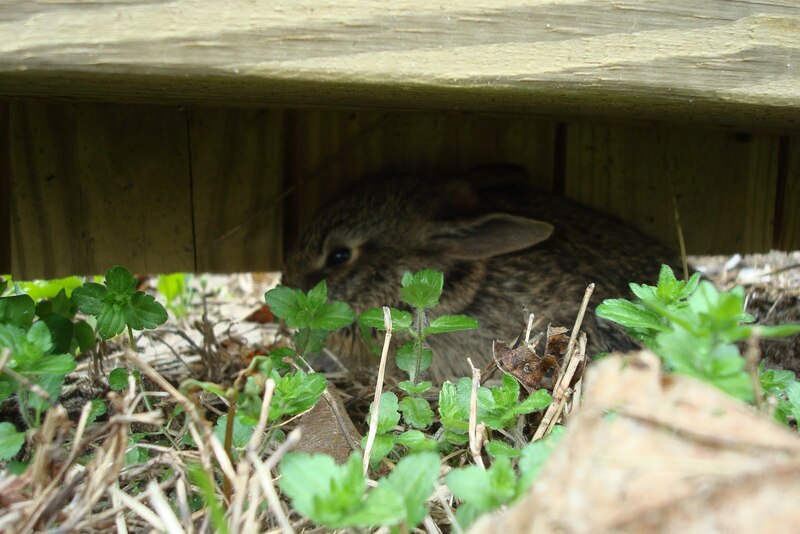 It seems that once a year we have a baby bunny that grows up in our yard and we let it happen naturally. :-) Sorry I turned you into a chicken snob. Now get out there and start canvassing to find out who is raising broilers that you can buy from. Boy, I wish those tulips were from my garden! No, that was a picture I took a couple years ago at a botanical garden in Delaware. It's one of my favorite pictures. You'd think it's Easter from the looks of all these beautiful sights! The little bunny is adorable! I remember one summer at my grandma's house, the dog found 4 baby bunnies that Gma made the mistake of letting us rescue, because she was afraid the dogs would get them the minute her back was turned. We had them in a box, and tried to feed them milk from a plastic bottle for a doll. Let's just say the bunnies didn't make it. When I was a little girl, we lived in a rental house that, for some reason, had lots of 4-leaf clovers in the yard out by a trellis covered with sweet-swelling honeysuckle. 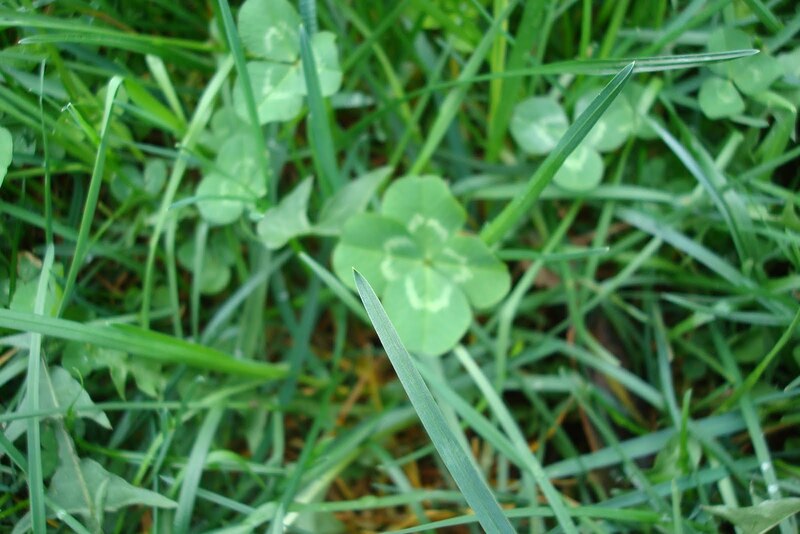 I spent hours out there hunting and finding 4-leaf clovers when I was about 7. I had about 70 of them, I think, pressed flat in a giant fairy tale book until they dried, then put them in an envelope. I had them for years, until they went missing from my Special Things Drawer, along with a number of my other special things. Nothing like sibling rivalry, you know. But even today, I can't think of clover without thinking of honeysuckle, and vice-versa. 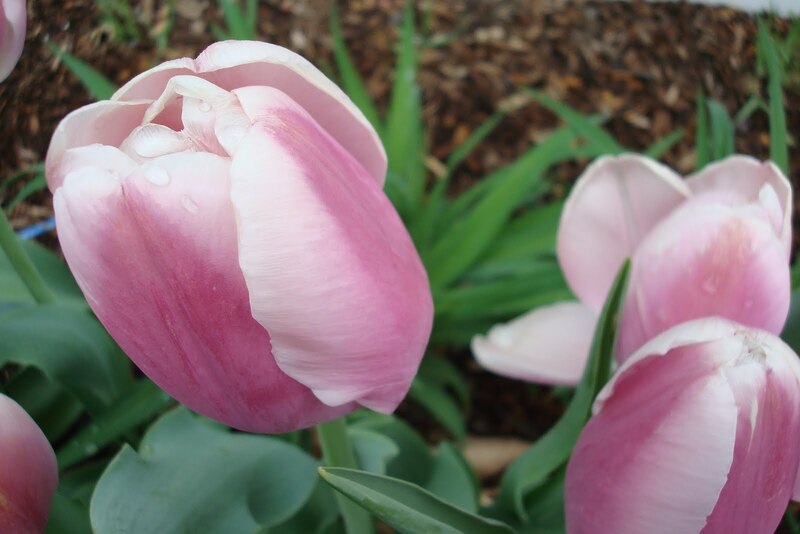 These tulips are just gorgeous! What a beautiful color! 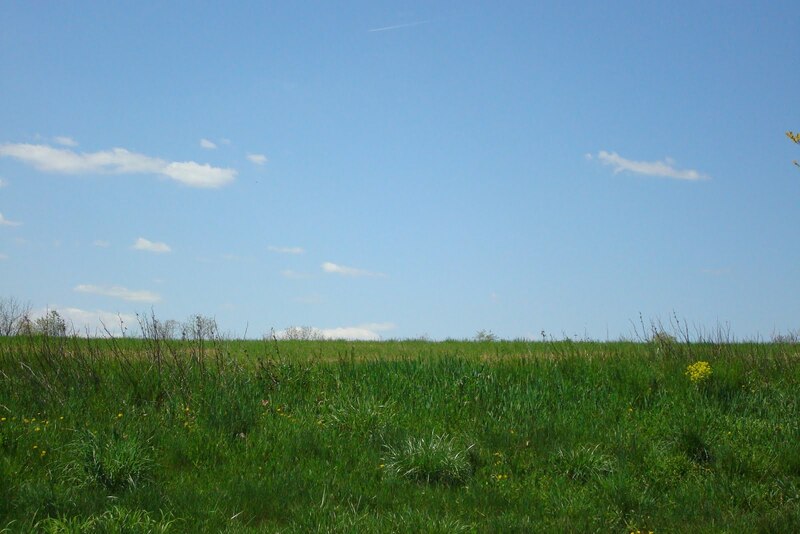 And the greens of the grass, blue sky, and white clouds are just what Springtime in NJ is all about!